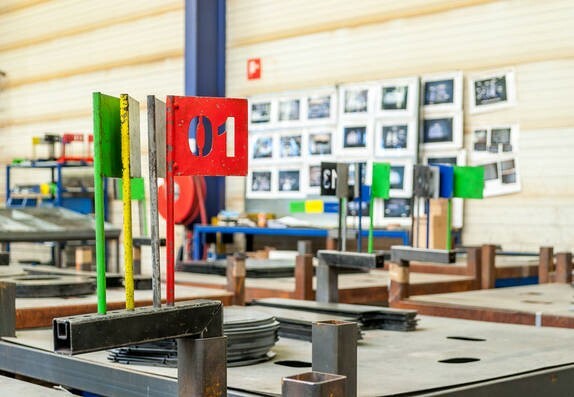 A few years ago, management at Provan, a small metalworking subcontractor in Genk, Belgium, found that they had become victims of their own success. Provan manufactured stoves for a major customer in Europe. The customer was pleased with Provan’s performance and wanted to increase the variety of stoves made by Provan. In reviewing the customer’s requirements, Provan’s management realized that with their current manufacturing methods, this increased variety would require them to triple their warehouse space for intermediate components. The added complexity of production operations would also lengthen their lead times which would further add to the work-in-process (WIP) and storage space for semi-finished parts. All this increased space would come at a significant cost in Belgium. And most critically, the additional investment in this inventory would burden Provan’s cash flow – a potentially crippling issue for a small enterprise. Around this same time, management at Provan attended a workshop in Belgium conducted by Professor Rajan Suri of the University of Wisconsin-Madison. At this workshop, they learned of Suri’s strategies of Quick Response Manufacturing (QRM) and POLCA (explained below). Management felt that these approaches might help them achieve their higher variety production of stoves without requiring substantial investments, and they decided to explore the application of QRM and POLCA at their company. 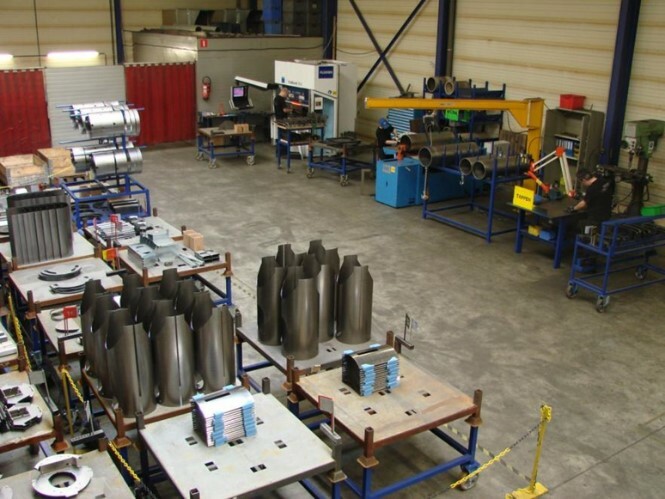 After its founding in 1998 by Ben Proesmans and Luc Vanhees, through the use of appropriate technology and production methods, Provan emerged as a successful metalworking subcontractor and supplier of metal products. The company now consists of around 80 employees and serves a variety of industries including medical, automotive, agriculture, heating and machinery. Provan offers its customers a total solution for welded structures, laser and sheet-metal work, profile machining, and assembly. As the company grew, management noticed that Provan’s customers were demanding a lot more variety, and simultaneously, batch sizes in the orders had shrunk considerably. Yet at the same time, customers wanted more flexibility and shorter delivery times. Provan had been using its Enterprise Resource Planning (ERP) system together with Lean techniques such as Kanban to manage the order flow. However, the analysis by Provan’s management showed that with the increase in variety these material management systems would not be suited to Provan’s production characteristics. The issues with the existing systems can be illustrated by the example of the production of stoves for the customer mentioned above. The stoves consisted of 130 parts that were produced in several steps such as laser cutting, bending, and threading. Then these 130 parts were welded or fastened together and assembled into one stove. The parts were stored between the successive fabrication and assembly steps in a warehouse which occupied over 600 square meters (around 6500 square feet). The stoves were produced in batches of 60, and the lead time from the initial laser cutting operation until the final inspection took about four weeks. As mentioned, the customer was pleased with Provan’s performance, and asked the company if it could supply three variations of the stove product. This meant that three types of stoves needed to be welded and assembled, and 130 components per stove – often with different routings – needed to be manufactured. Management calculated that this would triple the needed warehouse space to store the components, along with adding other problematic issues mentioned at the beginning of this article. After attending Suri’s workshop, management felt that the QRM approach could help resolve their production problems even in the presence of high variety, and the company decided to create a QRM Cell for the production of stoves. (QRM Cells are based on the concept of cellular manufacturing but incorporate some additional features specific to QRM. QRM Cells have been explained in a previous article in ISE Magazine, as well as in Suri’s books – see “For Further Reading”). In creating a QRM cell for the stoves, it was not clear how to manage the complexity of the work flow within the cell. Since three types of stoves needed to be fabricated, and 130 components had to be produced for each stove – typically with different routings within the cell – there was concern about how the operators could manage all these material flows. Would Provan have to install a miniature version of an ERP system within the cell? However, this would bring additional complexity and other scheduling problems related to the functioning of such an ERP system. After a few months of brainstorming, Provan’s employees along with the authors of this article arrived at a solution that would be simple to use and might avoid the typical problems associated with complex ERP systems. Serendipitously, it turned out that an additional benefit of this solution was that it enabled the employees to become familiar with visual management and using color-coding to signal tasks and priorities, and prepared them for the companywide POLCA implementation which took place next (and is described later in this article). The idea involved creating a QRM Cell that would include all the processing steps after the initial laser cutting. The laser was kept out of the cell because this expensive machine was also used for many products for other clients. Buying an additional laser for the cell couldn’t be justified and it didn’t seem necessary to accomplish the goals for the stove products. All the remaining workstations – involving operations such as bending, rolling, threading, grinding and welding – were moved into a U-shaped cell (Figure 1). The next concept in the Provan team’s idea was that every workstation was assigned a color, and this color code was clearly marked on each workstation (Figure 2). This is how the color-coded system works. When parts for a batch of stoves arrive from the laser station, they are put on a set of carts in a standardized way. First, a numbered metal flag with a specific color is attached to an empty cart. The color on the numbered flag corresponds to the stove type. Hence, with three types of stoves, three different colors are used. The number on the flag indicates which parts should be put on that cart. Multiple parts are grouped together on the cart based on their routing within the cell. Then on every cart, a row of additional colored flags is added. These flags indicate the routing the cart has to follow within the cell. The first color in the flag row corresponds with the color of the first workstation in the routing. The second color corresponds with the color of the second workstation, and so on. To summarize, two types of colored flags are used to guide the material flow: the colored numbered flag indicates the product type, while the colors on the (unnumbered) flags specify the routing (Figure 3). After a cart has been coded with its appropriate set of flags, it is placed in the middle of the stove cell. Based on the first (unnumbered) colored flag on the cart as well as workstation availability, an operator pulls the cart into the appropriate workstation and processes the parts on the cart. 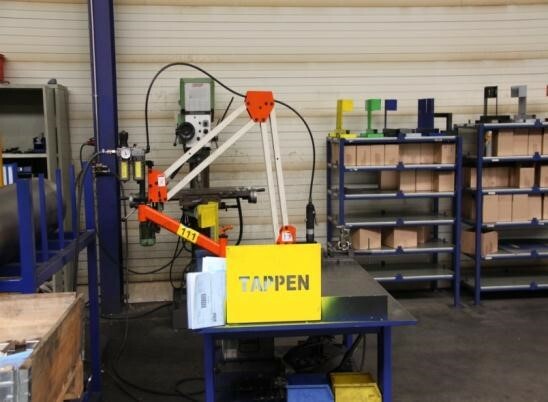 After all the parts on the cart are processed at this workstation, the corresponding colored flag of the workstation is removed by the operator and the cart is put back into the middle of the cell. The cart is now available for processing at its next workstation, and so on. With this system, operators can easily spot which parts they have to process without consulting a computer system or printed shop orders. They just have to look at the colored flags to know which carts are available to be processed next at any given workstation. In keeping with the latest manufacturing practices, the work in process (WIP) in the cell is strictly limited by the finite and small number of available carts. Limiting the WIP has several advantages for the cell. Material piling up can lead to all kinds of waste (searching for material, larger walking distances, damage, and so on), and so all these wastes are avoided. Also, limiting the WIP in turn limits the lead time of jobs in the cell. It is a highly visual system that is easy for the operators to understand and use. The order information (the status indicated by the flags) is always up to date. So, the production control system doesn’t rely on outdated information which used to be the situation in the past. The workflow is completely self-steering. Employees are in control of the process, which means they feel more involved. Detailed planning of the separate workstations by a planner, as well as supervisory tasks like shifting workers between the work stations, have become unnecessary. Putting all the post-laser operations in a single production cell meant that material movement on the shop floor was reduced and stoves could be made in batches of 15. The packing process could be done in half the time because the parts were already on the right pallet and weren’t stored in the warehouse waiting to be picked. The total lead time per batch decreased by an amazing 85%, from around four weeks to just three days! And finally, an unanticipated – but very welcome – result of implementing the cell has been that the quality of the products has improved significantly: scrap and complaints have been reduced by 60%. The short lead time and near-perfect delivery performance resulting from implementing the stove cell resulted in more products being ordered by the customer: Provan now makes eight models of stoves. Even with many more models, the on-time delivery performance is still 100%. And one of the best results for Provan’s management has been that instead of tripling the warehouse space (or more), the stocks of parts have actually been completely eliminated. This has liberated 600 square meters of space allowing Provan to expand its production operations without having to rent more space. Plus the reduction in stocks freed up much needed working capital to help finance Provan’s growth. Based on the resounding success of the stove cell, Provan looked for additional opportunities to form QRM cells. The second cell to be implemented was an assembly cell for medical treatment couches. Then a third cell was created which was dedicated to prototyping work. These three cells represented about 50% of the workload on the shop floor. For the remaining 50% of the workload, the company operated like a typical job shop. Since Provan served as a subcontractor for a wide variety of customers, the volume and work content of jobs varied frequently, making it difficult to dedicate work to particular cells focused on clear product families. For these remaining high-variety jobs, Provan suffered from several problems on its shop floor: information at the work centers was often already outdated even by the time the production orders were distributed to the shop floor; planning and re-planning activities formed a heavy burden for the company; supervisors had to run around the shop floor to expedite orders; and priorities were shifting continuously. Finally, despite all the follow-up and rescheduling, the necessary parts to start an order were often missing. As a result, the order information was not trusted by the operators. Even though it was not possible to create cells for entire products (as was done for the stoves), Provan was able to rearrange the shop floor into manufacturing cells in which similar operations were grouped together. The high variety of customer products was then accommodated by routing jobs through different combinations of cells based on their needs. The planning was simplified. Previously, planning and order routing was done at the detailed level of individual machines. Now, the planning is done at the higher level of cells, and operators in the cells are given ownership and responsibility within the cells so that they can handle the work themselves in a more flexible way. Finally, the work flow between the cells was controlled by using the POLCA system, described in more detail next. POLCA stands for Paired-cell Overlapping Loops of Cards with Authorization. 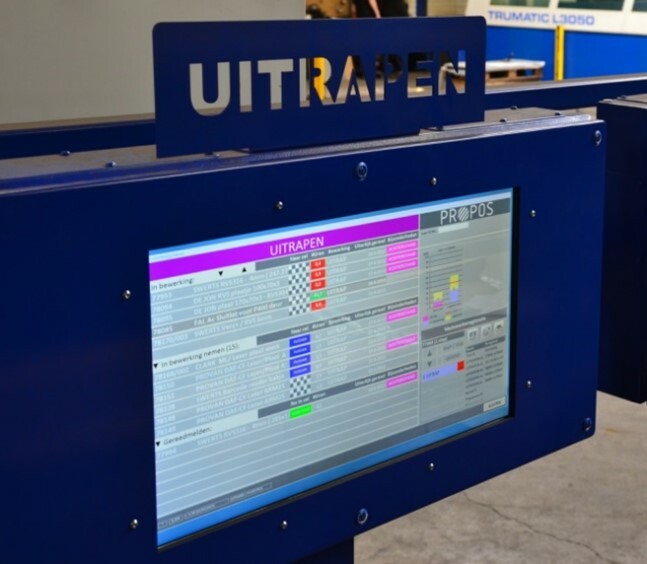 It is a card-based visual control system that manages the flow of jobs through the shop floor: at each of the cells it controls which job should be worked on next in order to meet delivery targets. POLCA ensures that upstream operations use their capacity effectively by working on jobs that are needed downstream, while at the same time preventing excessive WIP build-ups when bottlenecks appear unexpectedly. POLCA is particularly effective in low-volume, high-mix, and custom production environments. The POLCA system was explained in an article in last month’s issue of ISE Magazine, and additional information can be found in the book The Practitioner’s Guide to POLCA (see “For Further Reading”), so we will not describe it further in this article, but rather, focus on its application at Provan. Although the team at Provan felt that the POLCA system would fit its shop floor control needs perfectly, it had concerns about implementing the system with physical cards. The team had also heard that some electronic versions of POLCA had recently become available. After additional discussions along with visits to companies using both versions of POLCA, the team chose to implement an electronic version. Upon analysis of the variety of orders going through the shop, the team calculated that a large number of different routings were possible between the cells. This would result in a huge number of possible POLCA loops and cards and it was felt it would be difficult to maintain and update all of these. There was a substantial variation in the work content of the subcontracted jobs: some orders might take only a few minutes, while others represented several hours or even days of work. This meant that to smooth out the work flow to enable POLCA to work effectively, Provan would need to implement a quantum rule. In a POLCA system, the “quantum” is the amount of work to be done per POLCA card, explained further in the book The Practitioner’s Guide to POLCA (see “For Further Reading”). However with the new and custom jobs that arrived frequently, someone would have to analyze the quantum for each job and the operators would need to deal with varying numbers of POLCA cards attached to each order. This would complicate the implementation for both the planners and the shop floor operators and weaken the attempt to simplify the overall planning and scheduling. The team felt that with the large number of cards and loops, physically returning the cards to the previous cell would be seen by the operators as a large demand on their time, which would undermine their acceptance of the system. Provan’s management also requested the Propos software company to incorporate minor enhancements to the standard POLCA logic to make the system meet their specific needs. 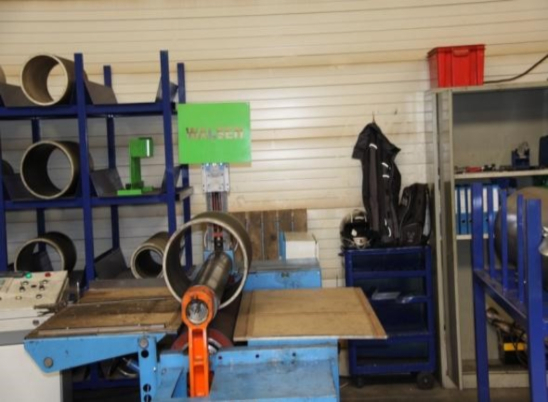 As one instance, because welders are hard to get in the labor market in Belgium, it is not easy to have extra capacity in welding. At the same time, Provan’s expertise in welding gives it an edge in getting orders. So any idle time at the welding stations is seen by management as a lost opportunity. The additional logic helps to ensure that critical cells such as welding do not unnecessarily run out of work. Provan experienced many benefits from the POLCA system implementation. These included both the impact on the employees as well as on the business as a whole. Right after the POLCA implementation, people at all levels noticed the increased transparency on the shop floor. In the past, only the planner and the supervisors were (somewhat) aware of what was going on. If a problem arose, they had to be consulted which led to additional delays. With the transparency of the system, everybody had access to the same, real time and up-to-date information. Over time, people found that this information was typically accurate, so the operators started to trust the system, and this provided a huge benefit of buy-in from the shop floor. The POLCA system also had a significant impact on the activities of the supervisors. Before the implementation, the supervisors had serious doubts: they objected that the system might not be as smart as an experienced supervisor. They also feared that their jobs would be even harder with two added duties: trying to follow the system, and at the same time trying to correct its deficiencies. However, with the system in place for a while, these same supervisors now actively endorse the system and are glad to have its support! They have experienced that the system has liberated them from many of their cumbersome tasks. Instead, these supervisors can focus their energy on coaching and developing their people, cross-training, and other improvement activities, and leave the logistics issues to the POLCA system. This is a better use of the experienced resources represented by the supervisors, and also reinforces Provan’s competitive advantage through ongoing personnel development and other continuous improvements. Soon after the implementation of QRM and POLCA, one of Provan’s major customers re-sourced some of their products from a low-cost country (LCC) to Provan. This is particularly impressive when you realize that Belgium has among the highest labor costs in the world, after you factor in taxes and benefits in addition to the wages. In fact, the customer calculated that because of Provan’s extremely short lead times and high delivery reliability, they could agree to a price from Provan that was 11% higher than the price from the LCC: Provan’s lead times and delivery record provided the customer with substantial savings in indirect costs such as inventory, warehousing space and personnel, rush freight charges, rescheduling, and so on. This was a classic win-win situation with lower total cost of ownership for the customer while at the same time supporting a reasonable profit margin for Provan. Largely as a result of its successful implementation of QRM and POLCA, in 2015 Provan received the prestigious Belgian “Factory of the Future” award. This distinction is awarded by the two Belgian industry federations Agoria and Sirris to companies that are best prepared for the future. This award typically places these companies among the global leaders in their sector. It’s About Time: The Competitive Advantage of Quick Response Manufacturing, by R. Suri, Productivity Press, 2010. POLCA helps jobs dance through your factory – Visual control helps pick the right job at the right time, dramatically slashing lead-time (by Rajan Suri). The Practitioner’s Guide to POLCA: The Production Control System for High-Mix, Low-Volume and Custom Products, R. Suri, Productivity Press, 2018. Pascal Pollet is a principal engineer at Sirris, the collective center of the Belgian technology industry, where he started doing research on POLCA in 2005. Pascal has pioneered the introduction of QRM and POLCA in Belgian industry and has helped many companies to radically shorten their lead times with QRM. Pascal obtained a Masters degree in Electrical Engineering from Ghent University in 1995, and is a member of the European QRM Institute. He can be reached at pascal.pollet@sirris.be. Ben Proesmans is the co-founder and owner of the Belgian company Provan (www.provan.be), a fast growing metal-working supplier. Ben is one of the QRM pioneers in Belgian industry, and is also affiliated with the European QRM Institute as an Ambassador. His company was recently awarded the prestigious Factory of the Future Award as a recognition for its pioneering work. He can be reached at ben@provan.be.